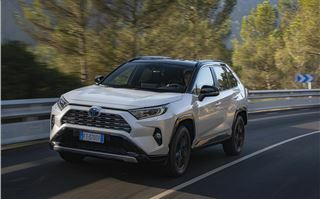 Despite the Toyota RAV4’s acronymic name alluding to it being a full-time 4x4 – the Recreational Activity Vehicle with four-wheel drive, to be exact – it’s always been a crossover, really. 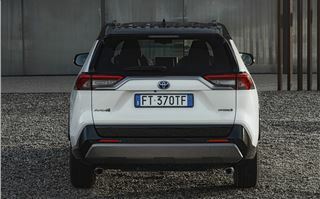 The original RAV4 combined SUV-type looks with convenience and running costs more akin to a hatchback a good dozen years before the Nissan Qashqai did; sadly for Toyota, in 2006 Nissan’s PR machine basically convinced everyone that the idea was its own. 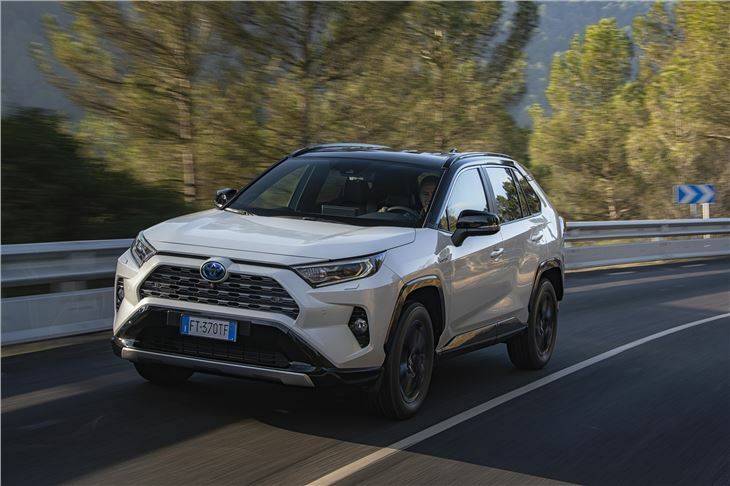 This new RAV4, the fifth one since 1994’s original, is still a crossover in that it offers a front-wheel drive option (which will account for the majority of sales) and has a focus on family-friendly space with low running costs. The latter of those qualities is accomplished by offering buyers only one choice: a hybrid. This is a blessing for business users particularly, because the BIK rules mean tax savings in the thousands over three years of ownership compared to a similarly priced mid-level diesel crossover. But for private buyers it makes the RAV4 cost £30,000 at base level. That’ll buy you a heck of a lot of Qashqai. Or Skoda Karoq, Renault Kadjar or Volkswagen Tiguan, even. 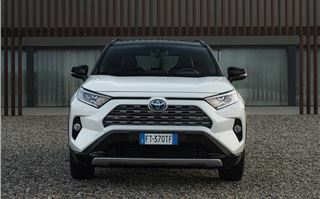 The other, more subjective, problem the new RAV4 has is a distinct lack of charm. It does a lot of things very well – it’s spacious, has a high level of standard equipment, and excellent low speed refinement – but there’s very little in the way it drives, or looks for that matter, that’s especially riveting. Toyota’s decision to go hybrid-only is largely the result of a seismic shift in sales over the course of just two years. 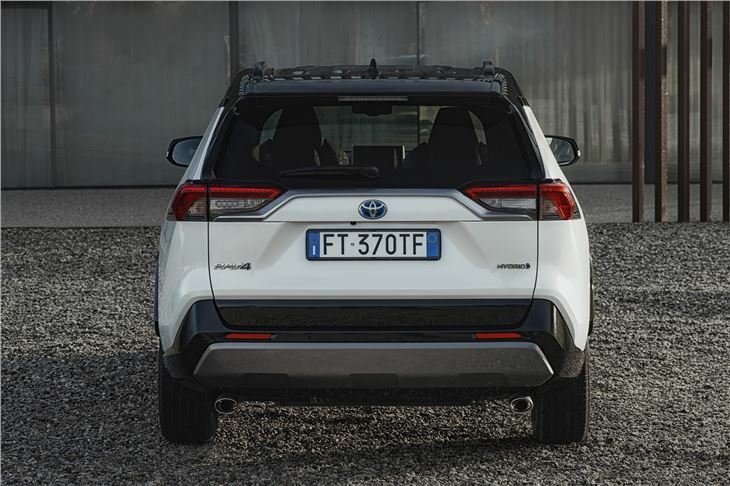 In 2016 the company introduced a hybrid model to the last generation RAV4, at a time when diesel models made up nine out of ten sales. By the end of 2018, that 90 per cent was hybrid sales. You can see why Toyota hasn’t bothered with a diesel this time around. 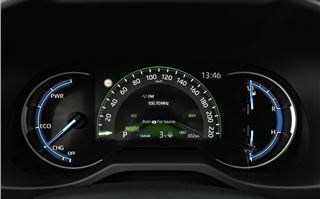 At low speed, as with the Prius, refinement is excellent because it’s just so quiet. Toyota has partly solved the harsh ride quality issue associated with most hybrids too, because a new and significantly stiffer chassis has allowed for a slightly softer suspension setup. Around town and on the motorway, while there’s still some of that trademark underlying harshness to the ride, it’s generally nicely cushioned, and with well-judged body control. As in, minimal roll. Unfortunately it’s a diminishing returns situation with refinement, relative to speed. 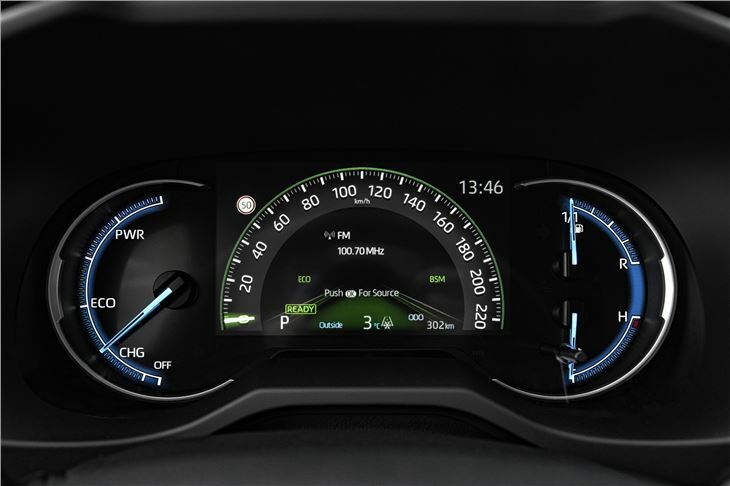 The CVT automatic transmission is whiney by nature, so as per every other hybrid so equipped it’s positively grating under hard acceleration – overtaking and such. At motorway speeds there’s also a surprising amount of wind noise around the A-pillars and wing mirrors. 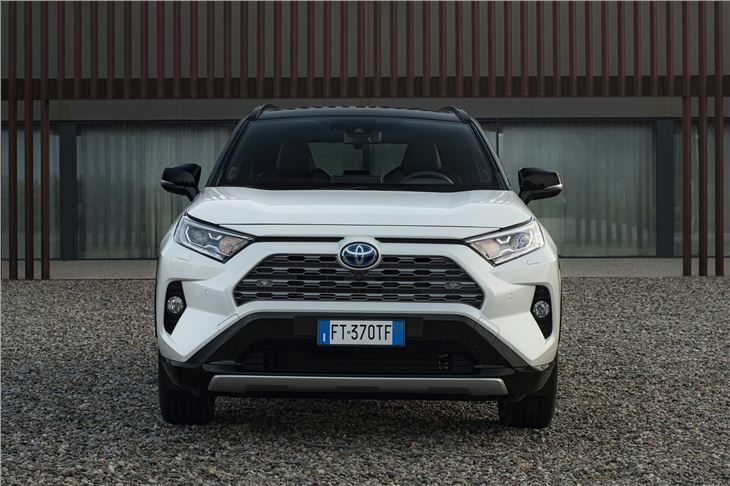 Similarly, while the light steering and relatively supple ride make the RAV4 pleasant around town, asking it to handle like a family hatchback is like asking a hippo to enter Crufts. Front- or four-wheel drive, the RAV4 always feels like it’s battling with its weight. There’s not a massive amount of body roll, perhaps surprisingly, but there’s no feel or accuracy or fun when it comes to faster driving. Which is ironic because, for some reason, Toyota has rebranded the ‘RAV’ part of the car’s name to mean Robust Accurate Vehicle. Who knows how many focus groups went into making that decision? It is robust, anyway. The cabin is, as you’d expect, very well built albeit while also continuing in the Toyota tradition of being largely unimaginative. It’s cushioned and damped nicely throughout, and the infotainment is relatively fuss-free, and the driving position will suit all (there’s 50 per cent more steering wheel adjustment this time around, in fact), it’s just not that charismatic. 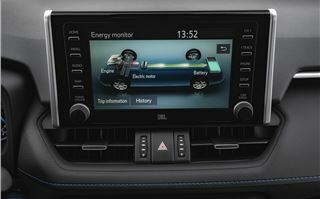 And some of the switchgear is still incongruously ‘90s looking, like the old rocker switches for the heated seats. 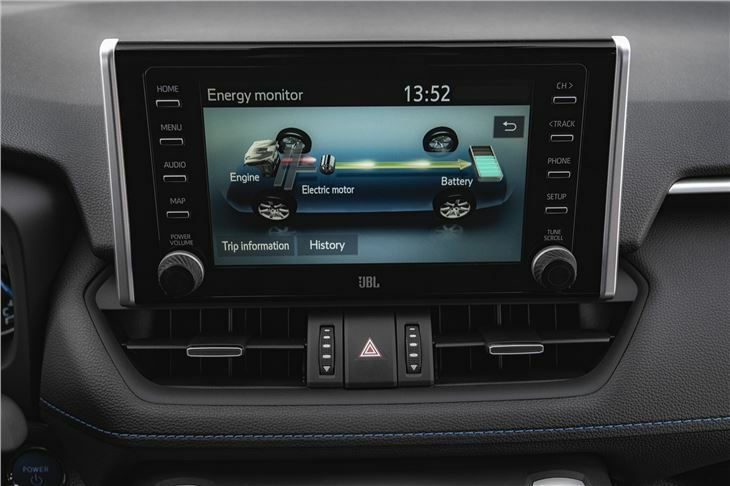 Oh well, it’s nicely equipped at least, with base models getting things that would appear either in the upper echelons of rivals’ trim ranges, or as optional extras – dual-zone air con, adaptive cruise control, a digital instrument display, stuff like that. 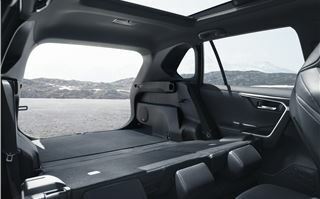 It’s properly spacious too, with a massive 580-litre boot capacity - not quite class leading, but close enough - a twin loading floor as standard, a long (and bookshelf-friendly) load length, and a noticeable glut of rear leg space. 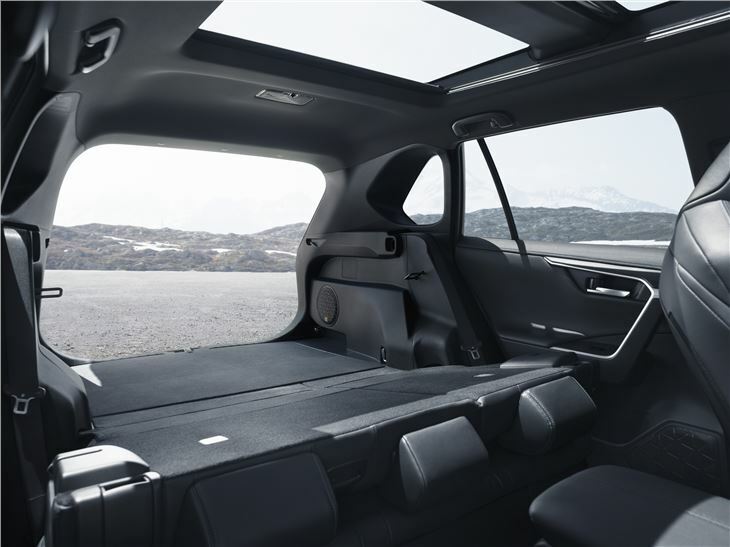 Impressively, Toyota has gained the extra space over the outgoing car while making it a little shorter – the wheelbase is 30mm longer. 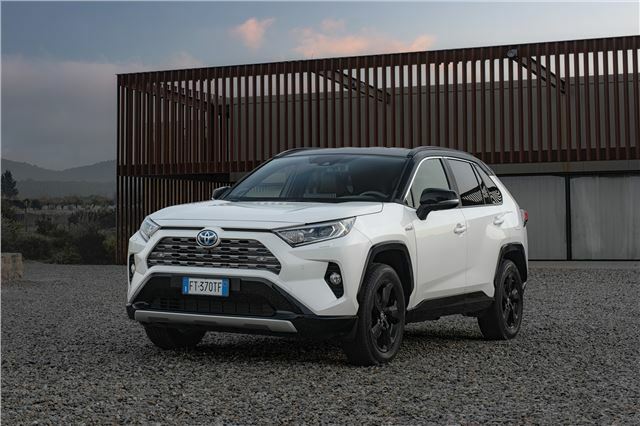 So, in the modern Toyota tradition, the RAV4 will satisfy the requirements of lots of buyers without being satisfying for those who want a bit of interest beyond that. The sort of interest that the Peugeot 3008 or the Kia Sportage or the Skoda Kodiaq provide, in their own ways. Long story short, it’s cheap for company car buyers, spacious, well made, decent around town, noisy on the motorway, clumsy to drive quickly, and not especially memorable. The Toyota RAV4 is on sale now, priced from £29,635.